The Art in Perpetuity Trust is a registered charity committed to supporting participation in the visual arts through creative practice, exhibitions and education. 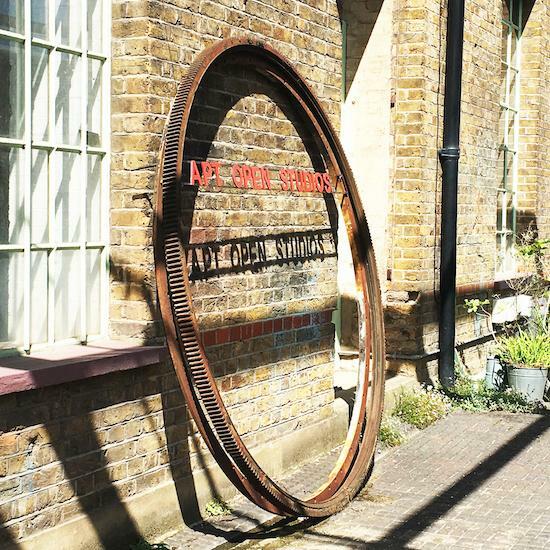 It has provided forty-two fully equipped artist studios, facilities, and gallery on a 1,800 sq metre site at Harold Wharf in Deptford, south east London, since its inception in 1995. There is a breadth of specialisms within the APT artist community, with many artists affiliated to leading art institutions such as University of the Arts London, Kingston University, and the Royal Academy. Noticeably APT houses some of London's pioneering abstract painters including Jeff Dellow, Rob Welch, David Webb, Mali Morris RA, and John McLean. Gallery and Studio Manager Liz May explains “because we own the freehold of our site we are able to keep control over costs and therefore charge an appropriate rent for our studios.” Under the protection of the charity, when an artist is invited to join the community, unlike most studio providers, the invitation is for a seven year studio lease, and almost without fail, every APT artist renews their lease every seven years. “Many studio groups have long leases which does give some stability, but if a landlord is involved there is always the threat that rents and service charges will rise and artists can unfortunately be priced out of their studio … The knowledge that they can stay in a studio for a long period of time allows them to concentrate on their own creative practice without the stress of finding new suitable studio space.” Sculptor Sheila Vollmer describes her APT studio as her sanctuary. “Having the security and community of other artists at APT has led to many exciting projects, exhibitions, collaborations, as well as the development of my own pathway.” She, like many of the artists, has been there since the early days, fostering a community that is often unable to grow within the ever changing landscape of property development in London. This sense of community extends beyond the studio walls to embrace local, national, and international groups. Arts education is at the heart of the charity, and APT demonstrates the diversity of contemporary visual art through a varied programme of high quality exhibitions delivered in the APT Gallery, studio visits, talks and conversations, film nights, workshops, and hands-on practice involving all age groups. 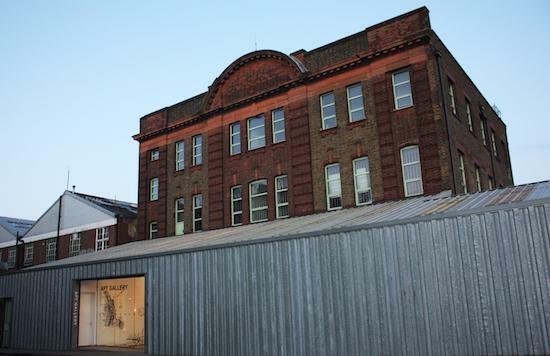 The APT Gallery supports the London art scene by hosting exhibitions from proposals selected by committee – projects such as the alternating biennial Curatorial Fellowship and the Creekside Open, two of London’s most respected open art competitions. Since its inaugural exhibition in 2005, Creekside Open has exhibited 792 artworks in thirteen exhibitions. Selectors for Creekside have included gallerists Ceri Hand and Victoria Miro, artists Paul Noble, Phyllida Barlow, Lisa Milroy, and most recently Jordan Baseman and Alison Wilding, who received 2,200 images for consideration. Painter David Oates, an artist member since 2002, is on the gallery committee. He has taken an active interest in the evolution of the organisation. As part of his contribution he devised the format and logistics for the Creekside Open with Liz May. “We wanted it to be as inclusive as possible, with no age limit, nationwide, multimedia, and with no hierarchy of prizes.” The equal cash awards are granted by the guest selectors as their personal choices, rather than selected by the APT Gallery committee. In keeping with extending the APT community, in 2014 Oates and artist-member Steve Lewis co-curated an exchange exhibition of APT artists with Pulchri Studios in The Hague. The approaching weekend in September brings the start of the ten day art festival Deptford X, and with it the vibrant APT Open studios. The gallery presents Touchstone, an exhibition of artist-members work curated by this year’s Graduate Award winners David Bloor, Lulu Cottell, and Katya Lewis, and artist-members open their studio doors to the public, offering a unique chance to see their working environments and learn about their practice. This year artist-members have invited eight guest artists to participate. In the yard Brigitte Parusel will host her second ‘flat file’ Open Studios exhibition after huge success at last year's event. She and invited artists present plan chests that visitors can open to reveal works on paper and unique prints. All artist-members continue to drive forward the aims of the charity with their skills, creativity and time, and the Open Studio weekend is a wonderful opportunity to experience their unity and support the artistic community in south east London.